Amazon.com Review: The late Vladimir Nabokov always did things his way, and his classic autobiography is no exception. 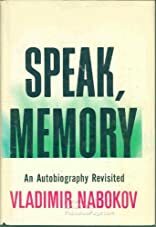 No dry recital of dates, names, and addresses for this linguistic magician--instead, Speak, Memory is a succession of lapidary episodes, in which the factoids play second fiddle to the development of Nabokov's sensibility. There is, to be sure, an impressionistic whirl through the author's family history (including a gallery of Tartar princes and fin-de-si�cle oddities). And Nabokov's account of his tenure at St. Petersburg's famous Tenishev School--where he counted Osip Mandelstam among his schoolmates--offers a lovely glimpse into the heart of Russia's silver age. 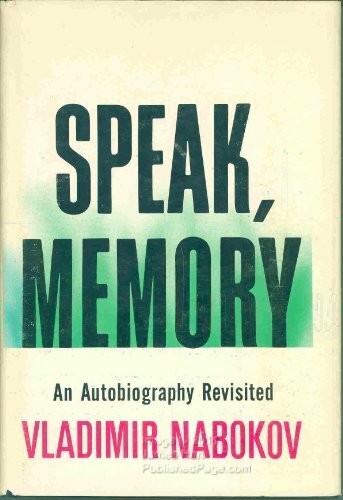 Still, Nabokov is much too artful an autobiographer to present Speak, Memory as a slice of reality--a word, by the way, that he insisted must always be surrounded by quotation marks. 8/29/2009 Jennifer Knox said: Perfect prose, carefully constructed memories. Nabokov gives nonfiction readers a lot to digest, every piece of prose as delectable as the last.